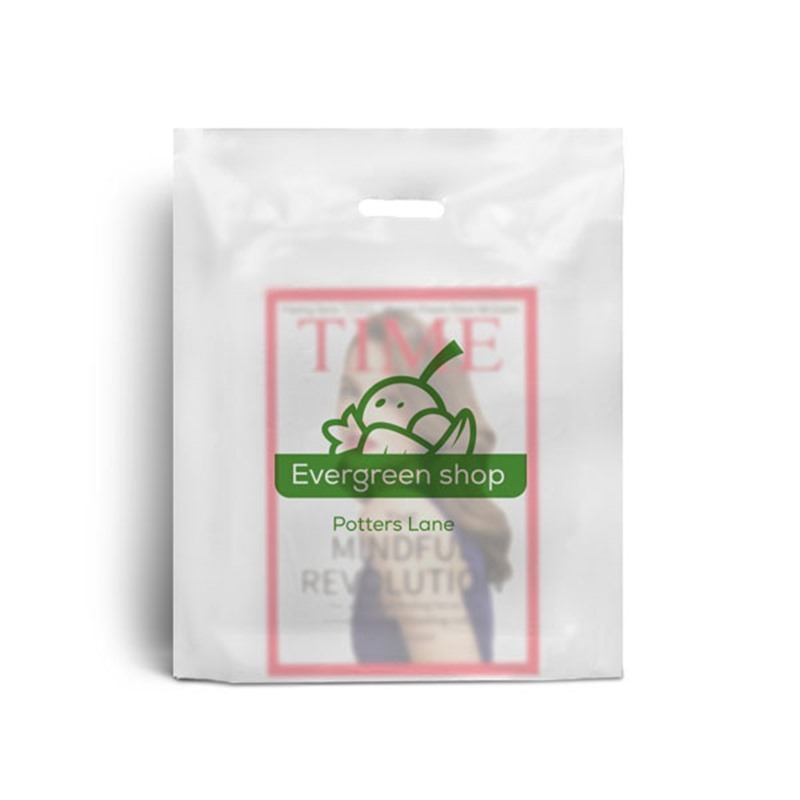 Our most popular range of plastic carrier bags offers an unbelievable blend of quality and value for money. 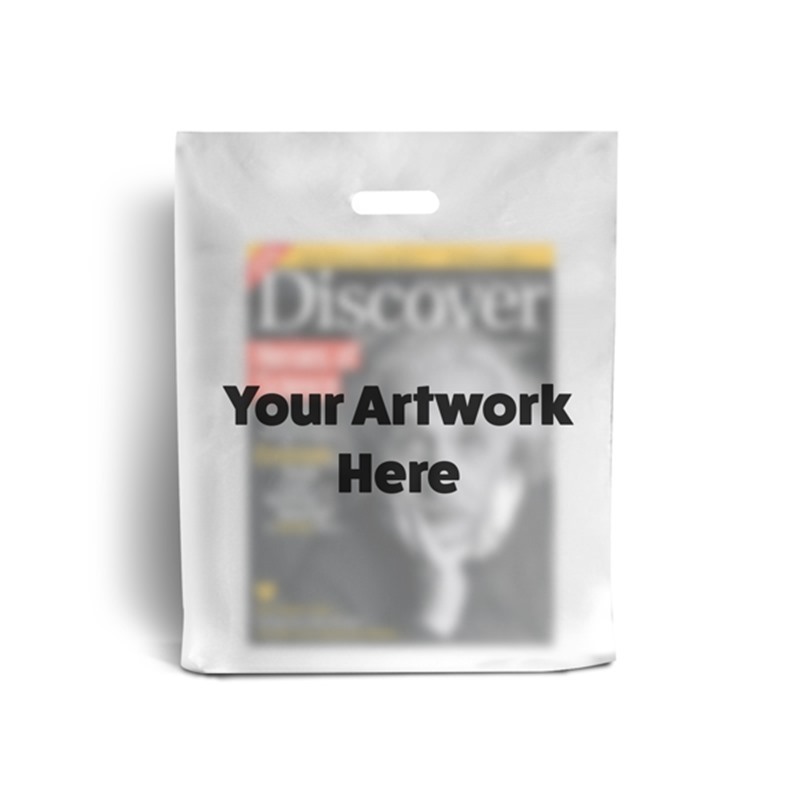 This Frosted plastic punched handle bag is ideal for: retail, cafe's, restaurants, tradeshows and promotions. If you have any specific questions of would like some more advice then please do not hesitate to get in touch with one of our Packaging Consultants on 020-3002-9960. They will be able to give you reliable advice about the replication of your logo to ensure that we never compromise in quality. Available in degradable and bio-degradable plastic. Also recyclable. Punched out handle, breathing holes. 5. We'll start to process your order. If there are any changes to be made, don't worry we'll get in touch right away!